Despite her rough foal hood due to all her traveling and fending for herself at a young age, Nalia has grown into a strong, capable mare with a good head on her shoulders. With a wisdom reflecting in her eyes that makes her seem beyond her years, Nalia has been praised in the past for her understanding of most any situation around her, able to help think of solutions that benefit both sides of the fight to make sure fighting can be avoided. Nalia has a very perceptive attitude, seeming to know what is going on around her even without any backstory or facts being shared. She knows to not stick her muzzle where it doesn't belong, preferring to allow others the space they need to come to her and confront their problem with the filly there to offer her support. The filly's experience living with both very different age groups of horses has enabled her to fit in well with either young foals, horses her age, or those that are much older than she is. She has a naturally calm disposition and attitude about life, knowing that one cannot live in fear or anxiety and take each moment as it comes, adapting to create a new solution even if what originally happened wasn't the situation she imagined. Despite her many positive traits, Nalia is not without weakness. One fear she exhibits has to do with her dreams; since she was still very young when her sire was slaughtered, the memory is ingrained in the back of her head, given she saw it happen on the night of. Nalia hardly goes a week without at least one or two nights where she wakes up in a terror, the memories of her foal hood and losing her sire and dam haunting the young filly. Nalia is also fiercely loyal to the point that she will berate and beat herself up if she proves to be a failure when given an important task. Since she was brought up with the importance of family over everything else, the filly will gladly risk her life for those she has come to care for, even if there is a very high chance she will not survive the danger. Nalia also has a paralyzing fear of fire, due to an incident she experienced while with the young colts and fillies during her early months of age. The young filly also has a soft spot for foals, and while she is not afraid to admit a stallion is attractive, she knows what she is worth when it comes to looks and smarts, and will test a stallion before she lets him get close to her. She is an intelligent creature who is more than capable of outwitting an opponent without laying a hoof on them. Nalia's history prior to her arrival in Beqanna is greatly unknown to others. Following her birth, Nalia remained in her home herd where her father, the lead stallion, reigned for a number of years before his downfall at the hooves of a younger rival the year Nalia was born. The stallion decided to pursue Nalia as a future mare to bare his foals, but due to her hatred for what he did to her family, Nalia and her dam conspired to help the young filly escape when she was a yearling. Using her dark color to hide in the night, Nalia bid her dam farewell and escaped, with the upset mare using the impending arrival of her new foal for comfort. As she left before her sibling's birth, Nalia is unsure if she has a younger brother or sister. Nalia spent a few weeks traveling alone before she was recruited into a band of young colts and fillies, led by an old veteran stallion who watched over the young offspring who had been removed from their herds. Nalia found comfort in the many new friends she made during her time, and the group grew together until they were into their second year. At about twenty-six months, Nalia's small herd life was once again disrupted by a group of hungry big cats. The herd scattered in an attempt to escape, but Nalia, in an effort to save a colt she liked, received a brutal scar on the left side of her neck from the predator's claws. She was the sole survivor of her small herd following the attack, discovering the evidence of the slaughter the next day. Nalia found company with an older group of mares and an aging stallion two months after the attack, but due to their advanced age, soon found herself bored with life and set out on her own again. The young filly traveled alone for three months before arriving in the new land of Beqanna. She was recruited by Ardashir to live in Nerine, finding her place as a diplomat-in-training. Over the course of a year, she learned all she could and is now a fully fledged diplomat, fully able to recruit stray horses from the Field to her home. 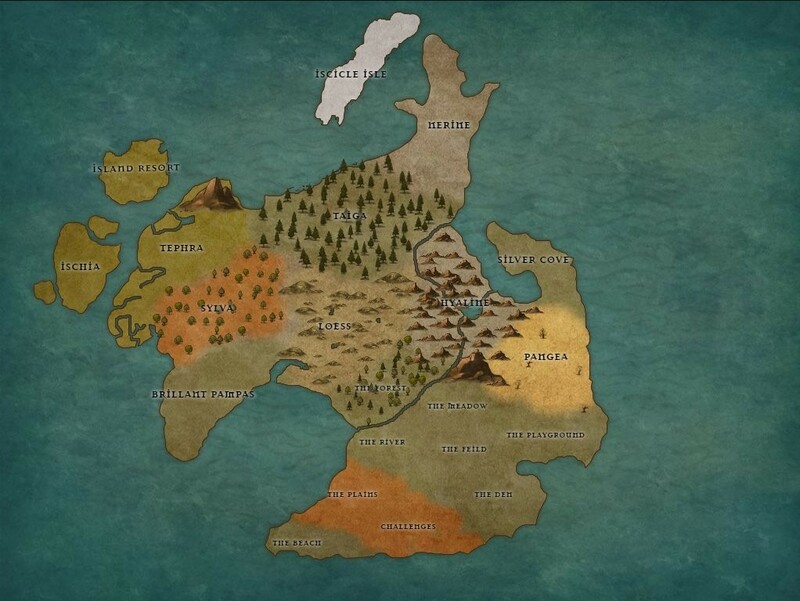 After the Plague started, Nalia helped evacuate some Nerinians to the Isle to keep them safe. She eventually set off for the Isle herself to try and help find a cure for the Plague, but failed and was given an icicle mane/tail in the process. Not letting this bring her down, she continued to serve her kingdom, all while her relationship with Ardashir deepened. 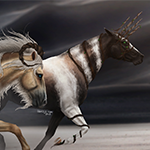 In the winter of year 200, Nalia discovered she was pregnant with her first foal. She gave birth to the filly in the spring of year 200, while living out on the Isle. She has taken up to residence on the Isle for a long-term period until the mainland is safe and her daughter is ready to make the swim across the ocean. Email: Send Nalia an email.